Football in Nottinghamshire has gone through the wringer somewhat over the last few seasons. When I was a lad, the big names were Eastwood Town, Worksop Town, Sutton Town and Arnold. If we take those clubs in turn it doesn’t make especially pretty reading. Eastwood Town, under the stewardship of owner Rob Yong had a meteoric rise after suffering relegation to the Northern Counties East league in 2003. They were immediately promoted back to the Northern Premier League, had a few seasons in the First Division South and then got promoted to the Premier Division in 2007. Two years later and they were in the Conference North having won the league, a fourth place finish and a Play-Off place was in the bag, or was it? Ground issues saw them removed from the promotion lottery, Yong departed, huge debts were uncovered, two relegation's followed before they folded mid-season. A new incarnation re-surfaced, in the Central Midlands League, as Eastwood Community, where they remain. 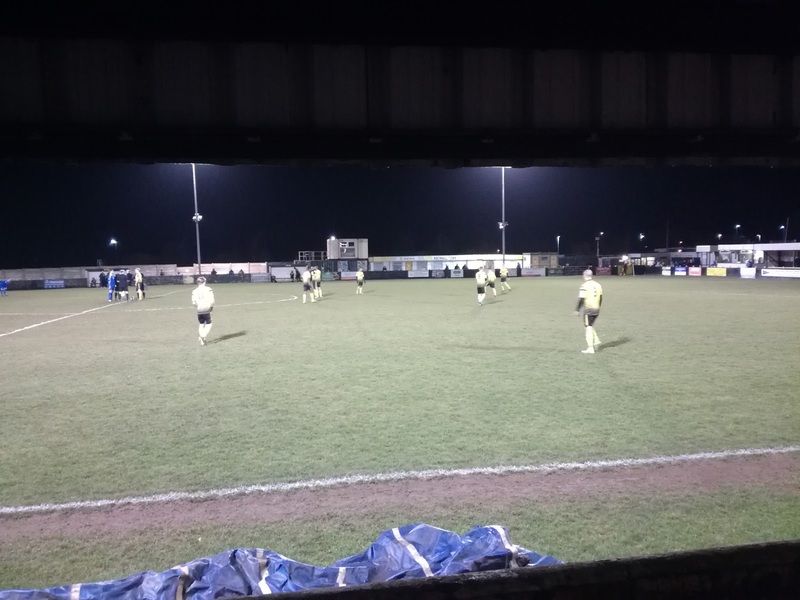 Worksop Town I’ve covered before, an Eastenders of a club that’s been through more turmoil than a kitten in a tumble dryer. Now residing in mid-table of the Northern Counties East League, they're under new ownership and they are playing in the town again. 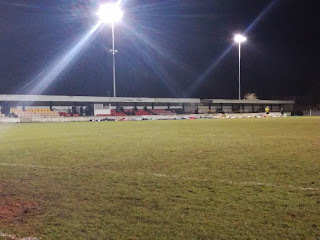 This is a club that once challenged in the Conference North, spent several seasons playing home games at the likes of Gainsborough, Retford, Hucknall and Ilkeston as they had a home they couldn’t play at due to ownership issues. Recently they finished up suffering a double demotion from the NPL Premier on the back of financial issues. Hopefully, with change in the air, they can get back to their rightful place and the consistently good support can watch a team in the higher echelons of non-league football. Sutton Town have come and gone more times than I care to remember. Playing at Priestic Road then Lowmoor Road, a name change to Ashfield United, gone, back again as Sutton Town via North Notts FC, a move to Huthwaite, gone again, back again, and now gone again! Rumours constantly abound about another phoenix like return, but you do wonder why anyone would bother given the track record? Arnold were a very steady club, but like many they jumped ship in the Eighties to join the Central Midlands League and leave the Pyramid. That cost them as they feel behind some of their former peers in local football. They changed their name to Arnold Town via a merger with Kingswell, got back to the Northern Counties East League, but then they lost the town centre ground and were forced to move to a soulless new build in the middle of nowhere on the way out to Calverton. They took demotion to the East Midlands Counties League and have remained their ever since, looking unlikely to get out of it, with crowds a fraction of what they used to be. A sad and cautionary tale is that one. Oh, I almost forgot. Sometime after those clubs, we had the meteoric rise of Retford United from Notts Senior League obscurity through to the top flight of the Northern Premier League, sadly with them now staring a possible relegation to the Central Midlands League in the face, it’s another all too common example of how to get success on the pitch but neglect pretty much everything else. The new custodians at Cannon Park have had to pick up the pieces and try to rebuild, but that is going to take quite some time. 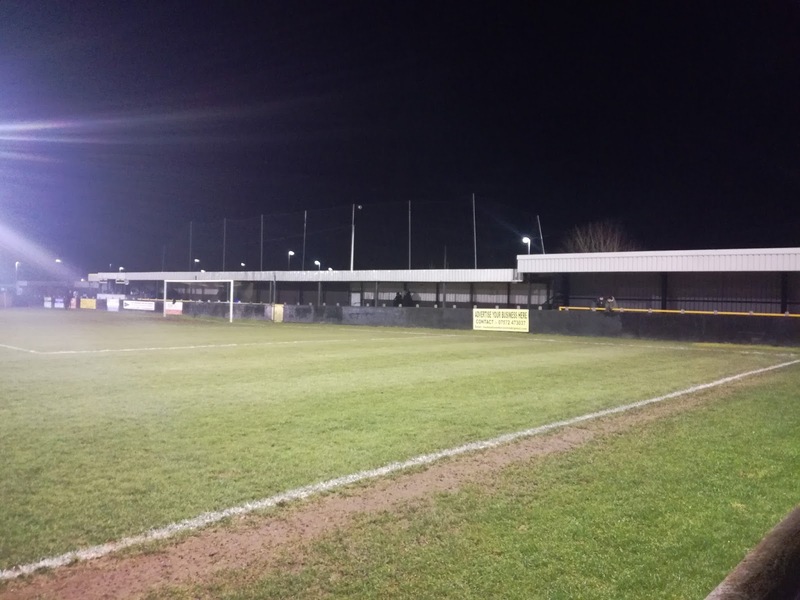 The town of Retford is a story in itself when it comes to football, one I've covered before. Tonight’s blog focus is Hucknall Town, blimey, now we are talking a real roller coaster with this one! Let’s begin back when I were a lad. A successful Notts Alliance side known then as Hucknall Colliery Welfare, vying with rivals Rainworth Miners Welfare for supremacy. They were a very good side, well supported and known for some excellent FA Vase runs. They changed their name to Hucknall Town, to give themselves more identity with the growing urban area, and clearly with the colliery now closed, it made sense, albeit it was a somewhat emotive decision. On the field it mattered not, they went into the Central Midlands League, won it twice, moved into the Northern Counties East League and then very quickly went up to the Premier Division. The club then had a period of unprecedented success, they won the NCE Premier Division, finished second in the Northern Premier League First Division and were promoted to the Premier Division. After a few seasons of consolidation, they won the title in 2003-04 but were denied promotion due to failing the ground grading, the Conference National was oh so close. They did make it to the Conference North though, and in the period they also reached the FA Trophy Final, only to lose to Grays Athletic at Villa Park, a game I witnessed. They were glorious days, and to be fair, backed by Brian Holmes, they managed five seasons in the division, but with plans to move to a new stadium seemingly hitting continual stumbling blocks, combined with numerous rumours about behind the scenes issues affecting the club, the decline was as rapid as the climb. They had two seasons back in the NPL Premier, then a further two seasons in the NPL First Division, before dropping right to the base of the Pyramid and effectively re-building in the Central Midlands League, which is where they remain to this day after first arriving in 2013. On a positive they have a new ground over the road from their current Watnall Road venue, and that is expected to be ready at some point early next season. In the meantime on the field, they are one of four sides challenging for promotion this season and stand as good a chance as anyone of a return to Step 6. 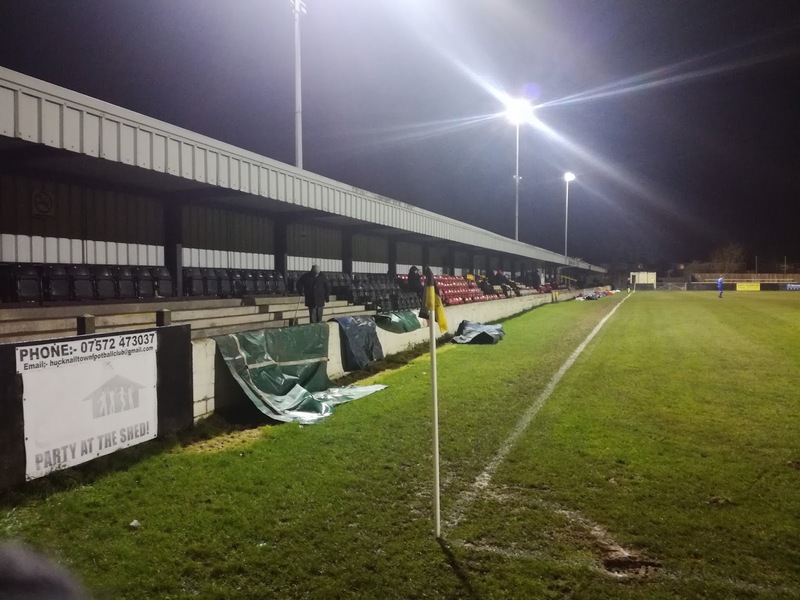 Watnall Road, when I first went was nothing more than a field with a shelter, now it is a proper football ground, albeit given the clubs decline and impending move, it is suffering from wear and tear plus a lack of tender loving care, understandably so. The long, low roofed main stand remains with its collection of various coloured seats, while at both ends of the stand are covered terracing areas. 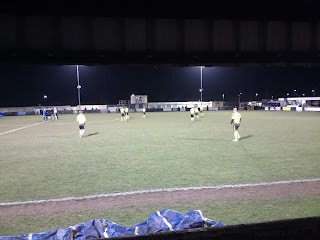 Behind the Watnall Road goal is a covered terrace while at the open end is an area of uncovered terracing. When it does go, it will be sad, and it will be a shame to lose such an impressive arena, but clearly to maintain it for the level they compete it, is a very costly exercise. They still get strong levels of support though, and while the crowds even at Conference North were not spectacular, the volume of support has been a constant, what Hucknall fans are is very loyal to their club, whatever the level. Hucknall beat Mickleover Royal British Legion 3-0 on the night, but sadly the victory was overshadowed by a broken leg suffered by Michael Banister who was the victim of a reckless rather than malicious challenge. The goals came from Jamie Crawford in the first half, while Joe Ashurst and Adam Nelson netted in the second period. 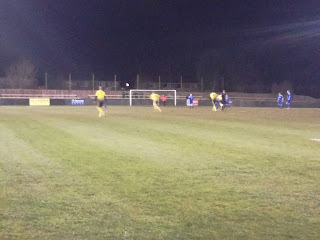 Mickleover battled hard but Hucknall had the quality. Pitch Covers - At Step 7! Worksop, Eastwood or maybe Hucknall get back to be in a position to challenge for that crown again? Hucknall, through the loyalty, hard work and passion that exists amongst those who run the club and indeed support them, stand as good a chance as any of those clubs to return to their former glories. It might take time, but we all know the pitfalls and consequences of rapid rises up the leagues, not least the lads and lasses from Watnall Road. Smashing read Neil. Really interesting words on the rise and fall of so many clubs. And a cautionary tale for a lot of others I reckon. Nice one mate!